>>> MISS CAMEROUN 2013 is Denise Valerie Ayena!!! President of COMICA, Solange Amougou (right), has confirmed that Cameroon is expected to enter Miss World 2013. This will be the first time ever that Cameroon will compete in Miss World. Miss Cameroun 2013, the 10th edition of the contest, is already in full swing with regional pre-selections and the grand final expected to be held on 9th August. Last edited by MISSWORLDFANATIC on Sat Aug 10, 2013 2:15 am, edited 9 times in total. 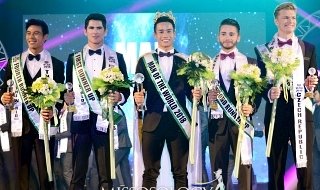 So many countries are going to debut or come back after long years at Miss World 2013!!! It is exciting! I was expecting Cameroon to debut. Miss Littoral looks promising thus far. Fantastic! So wonderful to see more and more of Africa being represented. Cameroon was supposed to debut a couple of years ago - they even went to the MW events in SA during the World Cup, so its wonderful to finally see them join the group! I love seeing Cameroonian ladies. Most of the runner-ups look better than the actual regional winners. Moise Gomis, president of Miss Senegal, told me that he will look into it. Apparently, Victor Yapobi (president of Miss Cote D'Ivoire) is encouraging West African nations to join Miss World. Re: ROAD TO MISS CAMEROUN 2013: ALL PRE-SELECTIONS DONE! Centre is striking.....I can see her as a top model, but as a beauty queen?? Still, she has a wonderful smile and great presence...so definitely someone to watch for. MISS CAMEROON 2013: AUGUST 9 ! Cameroon to debut in Miss World 2013 ! The finals of Miss Cameroon 2013 will be held at the Yaounde Convention Center on August 9th, 2013. 20 beauties from all walks of Cameroon will be vying for the title. 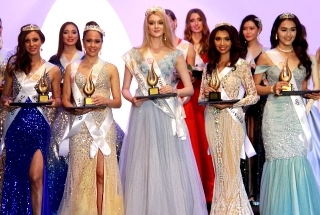 The winner will represent Cameroon in MISS WORLD 2013, scheduled to take place in Bali,Indonesia,September 28 . This will be the first time ever that Cameroon will compete in Miss World . Last edited by Ornelya on Fri Jul 19, 2013 9:12 pm, edited 7 times in total. Last edited by Ornelya on Fri Jul 19, 2013 8:38 pm, edited 3 times in total. Last edited by Ornelya on Fri Jul 19, 2013 8:46 pm, edited 1 time in total. Last edited by Ornelya on Fri Jul 19, 2013 8:55 pm, edited 1 time in total. IoI. what happened to their eyebrows. over F*UCKING, eh sorry what I mean is over PLUCKING. I Iike Awu Aya Ayukoso Gwladys & Bodianga Nsang. 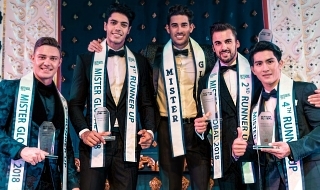 Why do the sashes have the Miss Universe logo? On the official facebook page, they said the winner would compete in MISS UNIVERSE 2013 IN RUSSIA!!! Thomas876 wrote: On the official facebook page, they said the winner would compete in MISS UNIVERSE 2013 IN RUSSIA!! !